A tiny NASA satellite has been deployed from the International Space Station (ISS) that will help scientists search for the universe's missing matter by studying X-rays from the 'halo' of hot gas surrounding our Milky Way galaxy. Astronomers keep coming up short when they survey "normal" matter, the material that makes up galaxies, stars, and planets. To look for this missing matter, a NASA-sponsored CubeSat mission called HaloSat was deployed from the ISS on July 13. The cosmic microwave background (CMB) is the oldest light in the universe, radiation from when it was 400,000 years old. Calculations based on CMB observations indicate the universe contains five percent normal matter protons, neutrons and other subatomic particles, 25 percent dark matter - a substance that remains unknown - and 70 percent dark energy, a negative pressure accelerating the expansion of the universe. As the universe expanded and cooled, normal matter coalesced into gas, dust, planets, stars, and galaxies. However, when astronomers tally the estimated masses of these objects, they account for only about half of what cosmologists say should be present. "We should have all the matter today that we had back when the universe was 400,000 years old," said Philip Kaaret, principal investigator at the University of Iowa (UI) in the US, which leads the mission. Researchers think the missing matter may be in the hot gas located either in the space between galaxies or in galactic halos, extended components surrounding individual galaxies. HaloSat will study gas in the Milky Way's halo that runs about 2 million degrees Celsius. At such high temperatures, oxygen sheds most of its eight electrons and produces the X-rays HaloSat will measure. Other X-ray telescopes, like NASA's Neutron star Interior Composition Explorer and the Chandra X-ray Observatory, study individual sources by looking at small patches of the sky. HaloSat will look at the whole sky, 100 square degrees at a time, which will help determine if the diffuse galactic halo is shaped more like a fried egg or a sphere. "If you think of the galactic halo in the fried egg model, it will have a different distribution of brightness when you look straight up out of it from Earth than when you look at wider angles," said Keith Jahoda, an astrophysicist at NASA's Goddard Space Flight Center in the US. "If it's in some quasi-spherical shape, compared to the dimensions of the galaxy, then you expect it to be more nearly the same brightness in all directions," said Jahoda. The halo's shape will determine its mass, which will help scientists understand if the universe's missing matter is in galactic halos or elsewhere. HaloSat will collect most of its data over 45 minutes on the nighttime half of its 90-minute orbit around Earth. 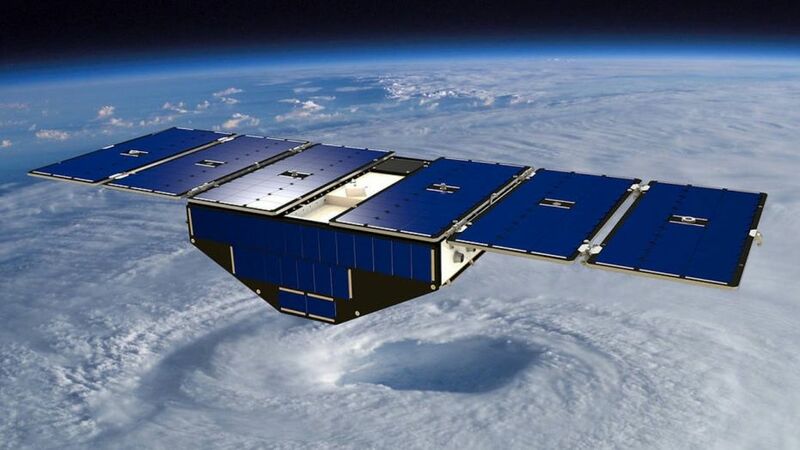 On the daytime side, the satellite will recharge using its solar panels and transmit data to NASA's Wallops Flight Facility in Virginia, which relays the data to the mission's operations control center at Blue Canyon Technologies in Colorado. HaloSat measures about 10x20x30 centimeters and weighs about 12 kilograms.